A total of eight schools competed nationwide, and the UPC was one of the four universities who advanced to the final round. Management students Alexis Carlos, Genevieve Espaltero, Francis May Manota, Kieran Shane Ordona and Jezzi Kaye Ruiz, made up Team UP Cebu. Prof. Stevenson Yu guided the students as they studied and analyzed the case, while the other SoM faculty and lecturer served as panel members as they assisted the students in their oral presentation. The organizers covered the airfare and lodging of the students and their coach, while SoM helped with the other incidental costs. UP Cebu’s participants were able to gain 4th place overall. 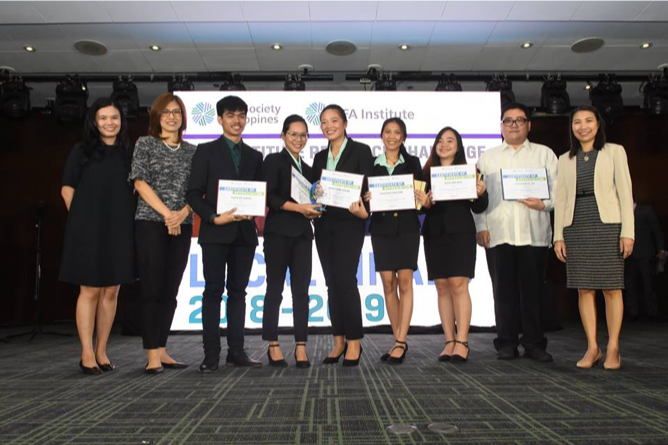 (Left to right) D&L Industries Investors Relation Officer Ms. Crissa Bondad, COL Financial Head of Research Ms. April Lee Tan, UPC Team, Alexis, Francis May, Kieran, Genevieve, Jezzie, UPC Coach Prof. Stevenson Yu, and CFA Philippines Society President Ms. Cristina Arceo. just I wish to recommend you few interesting things or tips. and also added your RSS feeds, so when I have time I will be back to read a lot more, Please do keep up the fantastic b.
this…. Thanks for the meal!! But yeah, thanks for spending some time to talk about this matter here on your web site. i advise him/her to pay a quick visit this website, Keep up the nice work.